The Institute of Metal Physics, the Ural Branch of the Russian Academy of Sciences, originally called the Ural Physico-Technical Institute, was established by the decision of the Presidium of the Supreme Economic Council of the USSR, № 294 “About the organization of research work in the Urals and Siberia” dated May 17, 1931. The Leningrad Physical-Technical Institute was ordered to form a group of employees to work in the Urals (The order of LPTI on January 20, 1932 № 5). The order formulated the directions of scientific activities of the group: magnetic and electric phenomena, phase transformations in alloys, plastic deformation of metals, electron diffraction technique. Among 32 employees of LPTI there were V.I. Archarov, J.G. Dorfman, I.K. Kikoin, G.V. Kurdyumov, A.P. Komar, B.G. Lazarev, M.V. Yakutovich, and R.I. Janus, who later became worldwide famous scientists. In the summer of 1932, young scientists S.P. Shubin, S.V. Vonsovsky, J.S. Shur, and A.A. Smirnov joined the scientific staff of the Institute. The newly organized UPTI was integrated into the system of the People's Commissariat of Heavy Industry of the USSR, subordinated to the Research Sector (SRS). On July 1, 1932, a post graduate student of UPTI, Mikhail Mikheev became a first director. He headed the Institute until 1986 (with two career intermissions); was elected an Associate Member of the USSR Academy of Sciences, was awarded the State Prize of the USSR and the honorary title “Honored Worker of Science and Technology of the RSFSR”. In January 1939, after restructuring of the USSR People's Commissariat of Heavy Industry into several departmental commissariats, UPTI was subordinated to the People's Commissariat of Iron Industry. UPTI under the command of the Technical Management headed by the Full Member I.P. 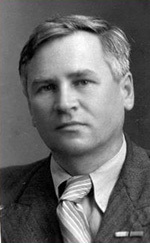 Bardin, who then was in charge of the Ural Branch of the Academy of Sciences of the USSR as well. On the initiative of I.P. Bardin and with the support of the Sverdlovsk Regional Committee of the CPSU (b), UPTI, based on the decision of SNK of the USSR, the decree of April 13, 1939, was introduced into the Academy of Sciences of the USSR as the Ural Branch. All laboratories of UPTI (except for two that had the chemical profile) were merged with the laboratory of material science and of iron-and-non-ferrous metallurgical processes, then existing in UFAN (the Ural Branch of the Academy of Sciences ), thus forming the Institute of Metallophysics, Metallography and Metallurgy. The Associate Member of the USSR Academy of Sciences S.S. Steinberg, an outstanding specialist in the field of metallurgy and heat treatment of steel was appointed a director of the Institute. After the World War II, by the decision of the Presidium of the Ural Branch of the USSR Academy of Sciences dated on the 26s of July 1945, labs studying metallurgical processes of ferrous and non-ferrous metals were branched out from the Institute of Metallophysics, Metallography and Metallurgy. The Institute itself was renamed as the Institute of Metal Physics. M. N. Mikheev was again appointed the Director. In 1958, by the decree of the Presidium of the USSR Academy of Sciences, IMP received the status of independent institute, subordinated directly to the Department of Physical and Mathematical Sciences of the USSR. In 1967, in connection with the awarding an order (the decree of the Presidium of the Supreme Soviet of the USSR, June 1, 1967), the Institute received a new name in accordance with the Resolution of the Presidium of the USSR, August 25, 1967, № 745 - the Order of the Red Banner Institute of Metal Physics, Academy of Sciences of the USSR. Until 1 March 1971, IMP was an independent institute. Then the Presidium of the USSR Academy of Sciences organized the Ural Scientific Center of the USSR Academy of Sciences in Sverdlovsk on the basis of scientific institutes of the Ural Branch of the USSR Academy of Sciences, namely, the Institute of Metal Physics and the Institute of Mathematics and Mechanics of the USSR Academy of Sciences. As a result of subsequent conversions of the Ural Scientific Center into the Ural Branch of the USSR Academy of Sciences (1987) and the USSR Academy of Sciences into the Russian Academy of Sciences (1991), nowadays, the Institute of Metal Physics has acquired the full name - the Order of the Red Banner Institute of Metal Physics, the Ural Branch of the Russian Academy of Sciences. With the development of the Institute, the geography of physical researches was expanded and in 1976 in Izhevsk a department of IMP, the first cell of academic science in Udmurtia, was founded. In 1982, the department was transformed into the Physical-Technical Institute of the Urals Scientific Center of the USSR Academy of Sciences. In 1986, the Member of the USSR AS G.A. Mesyats together with a group of his co-workers of the Siberian Division of the USSR Academy Sciences moved to Sverdlovsk to form the Electrophysics Department which a few months later was turned into the Institute of Electrophysics of the Urals Scientific Center of the USSR Academy of Sciences. Up to now, the originally defined research areas of the Institute have been keeping up with the development and transformation of the solid-state physics. Yet, a unique combination of electronic physics, magnetism, and physics of strength and plasticity remains unchanged. To date, the polar and s-d metal models devised by S.P. Shubin and S.V. Vonsovsky are worldwide known. On their basis, the Institute carried out numerous works on the theory of magnetism and electrical and other properties of transition and rare-earth metals, their alloys and compounds. In his papers, V.D. Sadowski together with his co-scholars propose and develop ideas on the two-stage phase recrystallization and structural heredity in steels. This has made a significant contribution to the theory of heat treatment. R.I. Janus, M.N. Mikheev and their disciples established the physical foundations of magnetic flaw detection and magnetic structural analysis of ferromagnetic materials. The Institute’s achievements are recognized in Russia and abroad. 20 research works were awarded the State Prizes of the USSR, RSFSR, the Russian Federation, the Ukraine, the USSR Council of Ministers Prize, the Russian Federation Government Prize, the Lenin Komsomol Prize, and the Demidov Prize. 42 employees of the Institute became winners of these awards. Six Institute’s research works of 11 employees were awarded Gold medals and Prizes in honor of outstanding scientists. The Institute of Metal Physics brought up 7 Full Members of the Russian Academy of Sciences: S.V. Vonsovsky, V.D. Sadowski, I.M. Tsidil'kovskii, V.M. Schastlivtsev, Y. A. Iziumov, M.V. Sadowsky, and V.V. Ustinov and 9 Associate Members of the Russian Academy of Sciences: A.B. Borisov, B.N. Goshchitsky, M.N. Mikheev, N.V. Mushnikov, E.P. Romanov, V.V. Sagaradze, E.A. Turov, J.S. Shur, and V.E. Scherbinin. Besides, V.I. Archarov, A.P. Komar and B.I. Beresnev became members of The Ukrainian Academy of Sciences, and N.N. Zatsepin was elected a member of the Academy of Sciences of Belarus. To date, E.Z. Kurmaev and V.G. Pushin are members of the Russian Academy of Natural Sciences, V.E. Scherbinin and G.G. Taluts are members of the Academy of Engineering Sciences, G.S. Korzunin is a member of the Russian Academy of Metrology. For the years of the Institute’s existence, scientists working at it have published 157 monographs and several thousand scientific articles (about 300 articles annually), officially registered 540 inventions. The Institute has trained 163 Doctors and 775 Candidates of Sciences (a Doctor of Sciences degree is the highest research degree in Russia). December 30, 2013 by the order № 2591-r of the Government of the Russian Federation, the Institute was transferred under the wing of the Russian Federal Agency of scientific organizations (RFASO). A new Charter of IMP UB RAS has been approved by the order №819 of RFASO, 15.10.2014.